As our team starts to settle into holiday routines, I thought to take a look back at the year we enjoyed. If you’re not familiar with Bank Director, think about us in parallel to bigger brands like the Economist Group. They publish a magazine, we publish a magazine. They host conferences, we host conferences. They conduct research, we conduct research. They have a website and what do you know, so do we. The parallels go on and on, and I like to think of both organizations as hugely influential. The key difference? Rather than reach a broad audience with varying levels of skill and professional expertise, Bank Director focuses on issues fundamental to a bank’s CEO, senior leadership team, chairman and independent directors. 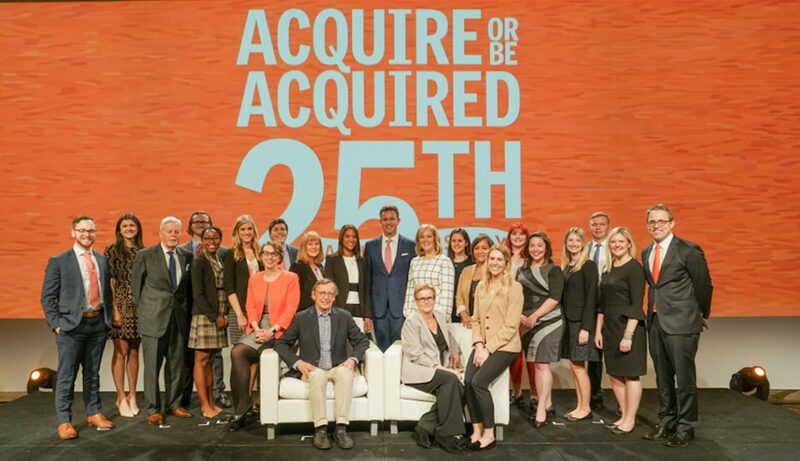 An information resource to the financial community since 1991, Bank Director’s reach to — and relationships with — a financial institutions’ leadership team is without equal thanks to our very talented team. While we can dress up with the best of them, our culture is one that allows for real fun and shared experiences. Here’s a look at some of what transpired in the first six months of the year. Finally, a picture where I don’t have a super weird look on my face! Selfies w/ Bank Director’s former associate publisher, John Cimba, and one of my 1st colleagues (starting in ’99), Jeff Davy. GLC will be proud. I’ll share more pictures from the 2nd part of our year next Tuesday.